For visitors to Helsinki, Finland, a drive to Porvoo takes an hour. It provides an opportunity to go back several hundred years. Beginning in prehistory, members of the Tavastian tribe lived in the areas around the Porvoonjoki River in southern Finland. In the middle of the 13th century, Sweden, apparently encouraged by the Pope, launched military crusades to impose Christianity on the Tavastians, eventually gaining control of what is now Finland. Swedish immigrants established Porvoo as a trading town on the eastern bank of the Porvoonjoki River, near where it empties into the Gulf of Finland. Porvoo’s residents built a small wooden church in their new town, which they rebuilt in the 15th century from stone, featuring a steep wooden roof and a separate bell tower. By the beginning of the 18th century, Sweden had become Lutheran. Porvoo, profiting from agricultural trade, had become the second-largest city in Finland, and Porvoo’s church had become a cathedral as the seat of the bishop for Finland’s Swedish-speaking Lutherans. Near the end of the 18th century, Porvoo residents painted the wooden warehouses along the river red in anticipation of a visit by Swedish King Gustav III. In 1809, the Diet of Porvoo was convened in the town hall, and the resulting document transferring control of Finland from Sweden to Russia was signed that year in the Porvoo Cathedral. 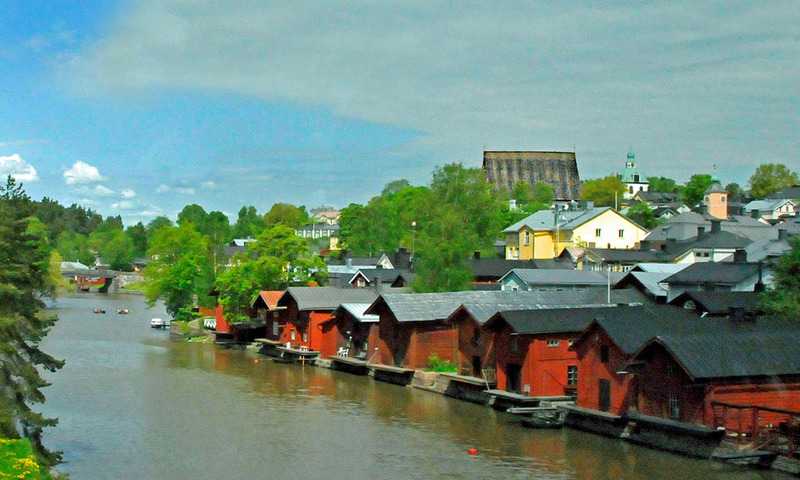 Today, Porvoo is a modern city, with about 50,000 residents, a third of whom still speak Swedish. The Old Town, with a population of about 800, is set off from the rest of the city and its buildings meticulously maintained. Most of the still-red riverside warehouses serve as restaurants or private homes. The Old Town Hall is a museum, and the cathedral still welcomes worshippers. When you are next in Helsinki, spend an afternoon in Porvoo. Previous ArticleColumn: Heavy metal medal — or is it mettle?